The late Sharon Tate's sister is sick of people exploiting the actress' murder. Debra Tate, called the upcoming film "The Haunting of Sharon Tate" both "classless" and "exploitative" after actress Hilary Duff shared an image of her dressed like Sharon Tate for the role. "It doesn't matter who it is acting in it — it's just tasteless," Debra Tate told People. "It's classless how everyone is rushing to release something for the 50th anniversary of this horrific event." Debra Tate was 16 when he sister was murdered in 1969 by one of the followers of Charles Manson's cult. The 26-year-old actress was married to director Roman Polanski at the time of her murder and was 8½ months pregnant with their first child. Debra Tate commented on the film's premise, which claims that Sharon Tate had a premonition that she and her former boyfriend Jay Sebring would have their throats slit — which is similar to how they were killed by being stabbed repeatedly. Debra said the so-called dream never happened. "It's a total fabrication," she said. "I know for a fact she did not have a premonition — awake or in a dream — that she and Jay would have their throat cut," she told People. "I checked with all of her living friends. None of her friends had any knowledge of this. " 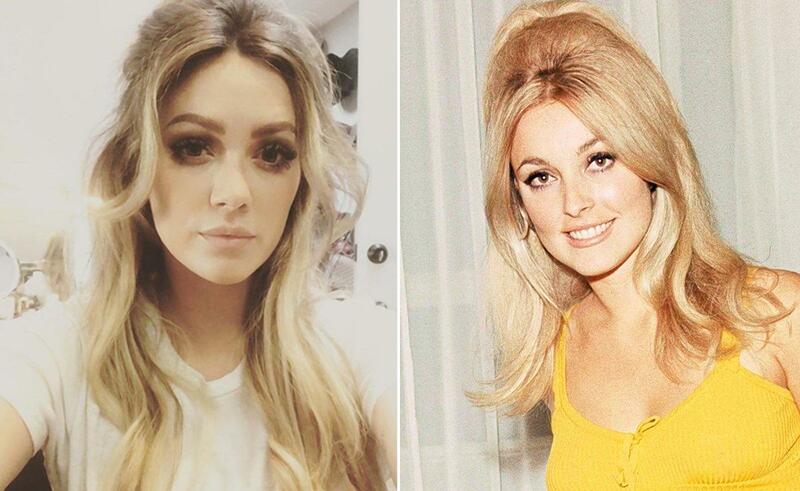 Duff called portraying Sharon Tate in the independent film an "incredible opportunity." She was an amazing woman and it was a true honor," the 30-year-old wrote on Instagram. "The Haunting of Sharon Tate" is an independent film directed by Daniel Farrands. I did read somewhere (maybe Sanders' book) that Sharon spent the night at Jay's house and supposedly she saw a ghostly figure at the foot of the stairs with its throat slit. Bear in mind that neither Sharon nor Jay had their throats slit. So whether this scenario is true or not, it's definitely NOT a premonition. Debra is upset about this point in the movie, and I surely don't blame her! Does anyone else have an opinion, someone who has a lot more information about Jay Sebring's house than I have? Venus? Kimchi? Sharmagne Leland-St. John? Katie I have heard of that dream several times and it always is the same. Hi, Katie! No offense to Ms. Duff, but there is just no one beautiful enough to play Sharon. I remember reading about Sharon's dream several times, but I always thought Sharon was embellishing the story a little. I think it’s in Sanders books and also Greg Kings book as well as several magazines. Thanks Beauders, that's what I thought. Hi Carol! I agree with you, Sharon may have seen something in the house that night but maybe she embellished it to make it scarier?? I think that house was supposedly "haunted" because of Paul Bern killing himself there. Didn't Jay say that's why he bought that house because of its interesting dark past? Yeah if they make a movie about Sharon they're are just going to have to "settle" because there's no actress I can think of to match Sharon's beauty. I think a lot of her being so photogenic was her personality. You can a lot of her personality in her photos. I was watching a show today about Bruce Lee's death. The show said that Steve McQueen was one of his pall bearers. And I then remembered that Bruce knew Sharon & Jay, which I guess is how he knew Steve. In fact, I think it was Jay who recommended him for the TV show Green Hornet. Hi Bobby! I've never heard of that show, but I'll check it out on Netflix! Thanks! I haven't posted any new news about Manson because I don't think there is any. There are still several people fighting over CM's cold dead body. I think that's terrible. Even CM deserves to rest somewhere besides in a drawer with a toe tag. Thanks, Katie, I looked it up on Google, called The PUSH. Seems interesting thanks for checking it out. Anyone looking for a copy of "Death To Pigs" by Hendrickson there is a copy on ebay. I was searching for something totally unrelated and ran across a page that says there are 3 movies supposedly being made for the 50th anniversary of the murders. Bobby I watched that show "The Push". It was kinda like a British reality show. I didn't think it was any good. I don't believe it was real, they all just looked like actors to me. Reminded me of "Weekend at Bernie's". Actually, it was a cross between "Weekend at Bernie's" and "Mrs. Doubtfire". They actually had a scene where they put a "dead guy" on the couch looking drunk and people moving him around, posing with him for pictures and laughing, and also a scene where the movie moguls made a "plastic cast" of the guy, including his face, arms, legs and everything else. Except Mrs. Doubtfire was funny when they did it. apparently the brunner guy was awarded custody of charlie. I was rooting for channels. Oh well. Pooh Bear did not get the body. 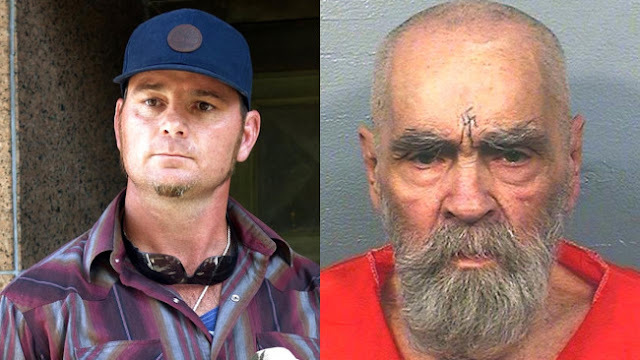 It was Manson's grandson, Jason Freeman, who got him. 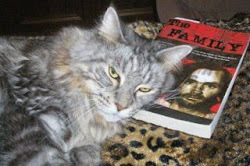 I thought Channel's would get the body as that was Manson's desire. Freeman will most likely dispose of the body in a respectful manner, as he claims to be a Born Again Christian, so this is probably a good choice. Thanks Stormy & Beauders. I missed that. I'll put something up on this thread. I have no horse in this race, so I have no personal opinion on the matter... just an observation. If they used "next of kin" status to decide the outcome, wouldn't Brunner be the victor? I really didn't care who got Manson's body... and I still don't. I just think it's ridiculous, that any human being would be kept on ice for months. That sounds kinda "cruel and unusual" to me. Your biological mother can "legally" become your sister???? On a positive note, some of my favorite bloggers are on this thread. Beauders, Carol, Venus, Bobby, Sunset, Stormsurge... and now, Kimchi!